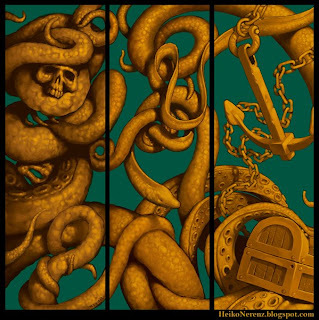 the art of Heiko Nerenz: tentacles in the deep..
inspired by the background of "the skimpily flight" i made the folowing one! Think this would be great in 5m x 5m painting here on my wall. Think i should move than to make this work. but nevertheless.its worth it! thanks a lot dudes!! scetching new pics at the moment, so ill keep u on track!